April | 2015 | mookology. Ralph Waldo Emerson famously said “lose yourself in nature and find peace.” It is something I agree with wholeheartedly, therefore it came as no surprise that I absolutely loved Wild when I read it. In many ways, I find myself to be and outdoorsy person and connected with nature, so I naturally gravitated towards this and found Cheryl Strayed’s journey remarkable – and not just the one on foot. Strayed allows you into the most personal parts of her life, including her deepest feelings and secrets that she has grown ashamed of. The transition from girl to woman, immaturity to maturity, and literally lost to found is beautiful. Memoir’s have a special place in my heart. There is something so valuable in writing about yourself, because it is brave. Many people find it difficult to write even the smallest personal anecdotes, and Cheryl Strayed pushes the limits in terms of bravery. This bravery is acknowledged many times in those she meets along the way, in both positive and negative circumstances. The major takeaway that comes up time and time again is how unique it is for a woman to solitarily backpack in such a remote and strenuous part of the country. Her fellow backpackers find her remarkable, and sometimes naive, but this all adds to her story. Cheryl Strayed did something most do not. Wild is definitely a great read, especially for those who like to do some internal soul searching themselves. 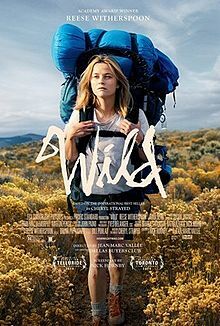 It’s easy to see why Reese Witherspoon was nominated for Best Actress for her portrayal of Cheryl Strayed in “Wild” since so much of this movie really revolves around her, and her performance. The supporting characters in the film are truly secondary. Anyone who read Wild knows that the story is all about Cheryl. In general, everyone involved in the making of “Wild” definitely did a great job. I found there to be the perfect balance of past and present. There were enough flashbacks to understand what Cheryl had gone through, why she was emotionally damaged, and the reason she decided to liberate herself by spending time in the wild. However, I did find that there was not enough explanation for her most recent woes. Maybe it was because I was so connected to Cheryl’s life from reading her memoir, but I didn’t find the struggles with drugs and her marriage to be as prevalent as it maybe needed to be. My only change to this film would be to bring that part of Cheryl’s life to the forefront a tiny bit more, in order to understand the place she was at on her journey through the PCT. In general, I find memoirs can be hard to translate to the big screen. A good memoir can be so personal and valuable that it can often be difficult to portray it accurately enough to get the big picture. 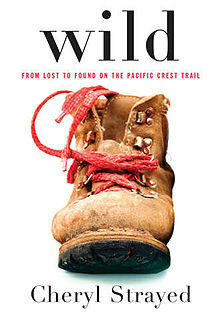 With the memoir Wild, I felt that every piece of the story was important and necessary. When you adapt for the screen, there are things you need to remove. Regardless, this film was enjoyable and I think they did a good job.